We provide Vancouver Limousine Service for the wedding ceremonies and Graduation day. One can hire Limousine according to the needs and budget. At Vancouver Limo Service, we take your bookings way seriously. We understand as it is all about presentation, comfort, time management and safety, especially on an important day such as your wedding. Similarly, the charges also vary from client to client, as everybody has some personal requirements. We offer special discount for wedding packages on Fridays and Sundays. Hence, Limo Vancouver BC makes custom wedding packages which are based on customer’s wants and budgets. Whereas, what might become same as the routine that is popular and common to almost all wedding ceremonies. After that, it is suggested to have a detailed discussion about your budget, what can you afford, so that you will be provided by the quality service accordingly. The major aim is that your desired wedding transportation takes you to your destinations in class, with comfort, safety and ease. Our Professional and qualified chauffeurs focus on safety, customer satisfaction, loyalty, accountability and dedication so that one can get highest quality of service. 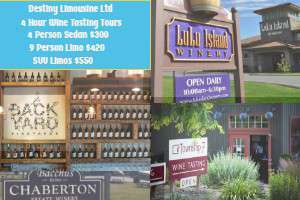 Wine tasting in the Vancouver & Fraser Valley area, however, is just half of the adventure. On your Fraser Valley Wine tour, you will be treated like a royalty. 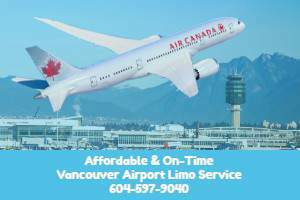 We are offering professional Vancouver Airport Car Service from a small 3 passenger Vancouver Town Car Service to 12 passenger SUV limo at most affordable rates. We have a range of finest luxury limos and a group of professional chauffeurs which will fulfill all your business and personal travel needs at reasonable cost. There are more than a couple of dozens of companies offering Vancouver Airport limo service. However, Vancouver Airport Car Service remains to be on top in terms of quality of services, value for money, and punctuality. 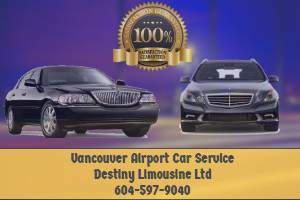 The company provides excellent service to and from Vancouver airport as well as Downtown. Vancouver Limo Rental luxurious fleet of vehicles can accommodate up to 15 passengers with luggage making their limousine and SUVs practical options for airport transportation. 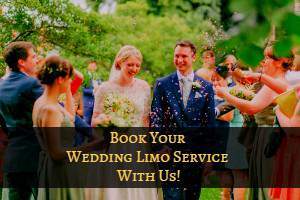 Aside from Vancouver airport limo service, We also specializes in providing luxurious, safe, professional, and reliable transportation service for graduations, weddings, wine tours, city tours, and business travels.